Bankruptcy Information | Automatic Stay: The magic shield may not be automatic anymore. Automatic Stay: The magic shield may not be automatic anymore. Home > Automatic Stay In Bankruptcy > Automatic Stay: The magic shield may not be automatic anymore. 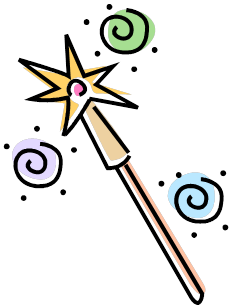 11 Mar Automatic Stay: The magic shield may not be automatic anymore. The automatic stay in bankruptcy is a magic shield that instantly comes down around you when you file bankruptcy. Think of it as a shield against garnishments, foreclosures and collection actions. Under 11 USC 362 this shield comes down automatically when you file your bankruptcy case and generally lasts until the discharge. However there are a few instances under the new law where it is not automatic or the stay does not extend past 30 days. 11 USC 362(c)(3) states that if you have filed a previous case under 7, 11, or 13 within the last year and your case was dismissed and re-filed for something other than abuse under 707(b) than the automatic stay will only be able to protect you for 30 calendar days. This 30 day limit for the protection under the automatic stay is absolute UNLESS you file Motion to Extend the Stay and receive an Order from the court within that 30 day period. The 30 day period starts on the day your file the case and ends at the 11:59 on the 30th day from the filing of your case. Your failure to file the Motion and receive an Order within 30 days is generally held as absolute and the protection of the stay is no longer in effect. The result is that the shield is gone and the creditors can begin collecting again. 11 USC 362(c)(4) states that if you have filed a 2 or more cases within the last year and your case was dismissed and re-filed for something other than abuse under 707(b) than your automatic stay WILL NOT automatically go into effect. There is no magic shield that comes down around you automatically to protect you from your creditors. In order to receive this protection you MUST file a Motion to Extend the Automatic Stay and Receive an Order within 30 days of filing your new case. Your failure to do this will leave you unprotected and your creditors can pursue their collection efforts. The key to the extending the automatic stay is to show changed circumstances. The purpose of this new section in the code is to prevent people from abusing the system and solely filing a case to stall a foreclosure when in reality they had no intention of paying the debt to begin with. So when you are working with your attorney to extend the automatic stay you must outline the changed circumstances. Meaning what is different this time around to ensure that you will be successful. Better communication with the attorney, higher paying job, a job, wage garnishment for the Plan payment, surrendering a house or vehicle to adjust the budget are all examples of changed circumstances. Remember the knowledge is power. Read Part II of the Magic Shield so you will have the power to enforce the automatic stay. I filed a chapter 13 to stop the loss of my home which had been sold already. The new owner gave me my house back. My chapter 13 was dismissed. What happens now? I filed a chptr 13 and my house had already been sold. The new owner notified me that they were returning my house. The chptr 13 has been dismissed. Now what happens regarding my house?